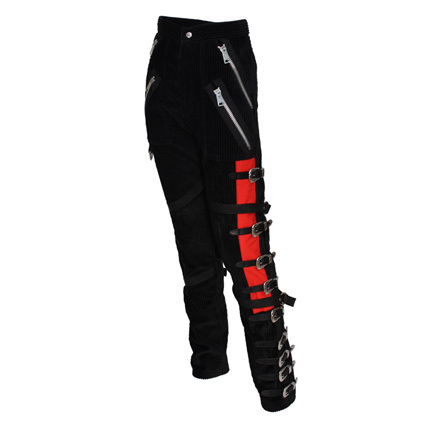 These black and red pants were custom tailored specifically for the legendary King of Pop Michael Jackson by Western Costume Company. 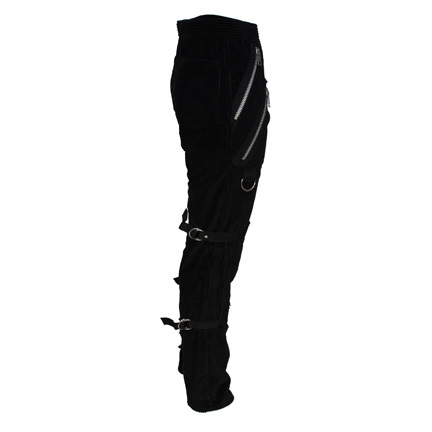 Mr. Jackson had the garment built to his unique specifications during the “Bad” era. 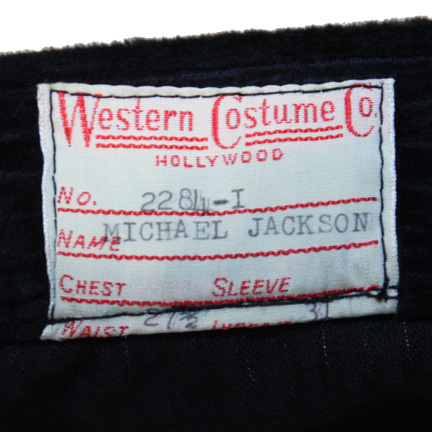 The garment was hand made for Mr. Jackson by Western Costume Company’s head tailor Ruben Rubalcava and the interior of the pants has the original Western Costume Company tag sewn inside with the name “Michael Jackson”, waist size “27 & ½”, inseam size “31”, and the W.C.C. 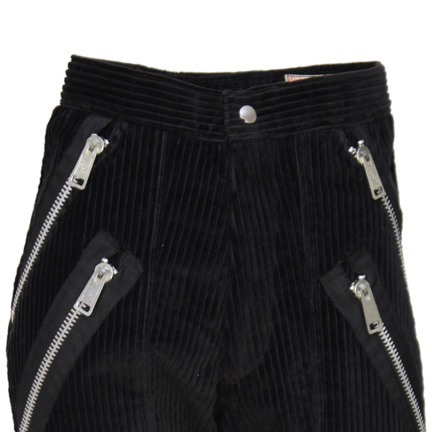 “Made To Order” number “2284-I” clearly typed. 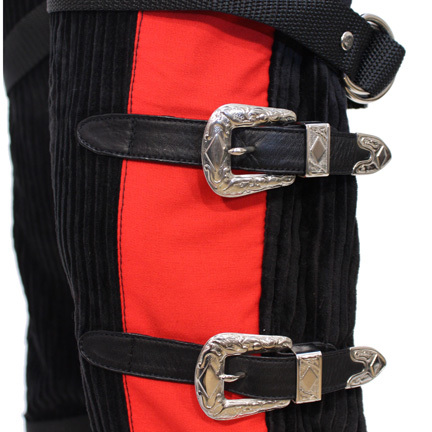 The garment is constructed of black corduroy with red cloth panel on the right leg, and features multiple buckles and zippers that were integral to Mr. Jackson’s image during that period of his career. 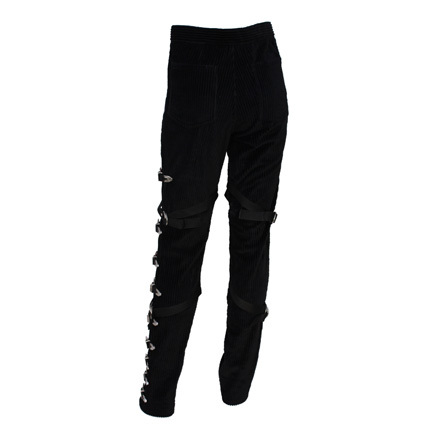 The pants have four diagonal oversized zippers on the front, nine leather straps with Western style buckles and two nylon straps on the left leg, and and two nylon straps on the right. 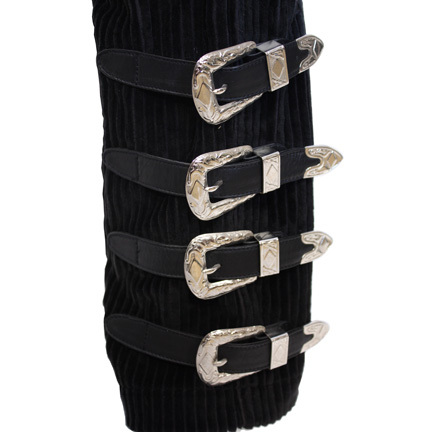 This garment was created at Mr. Jackson’s personal request and perfectly captures his signature look that had such a profound effect on the fashion and style of the era. 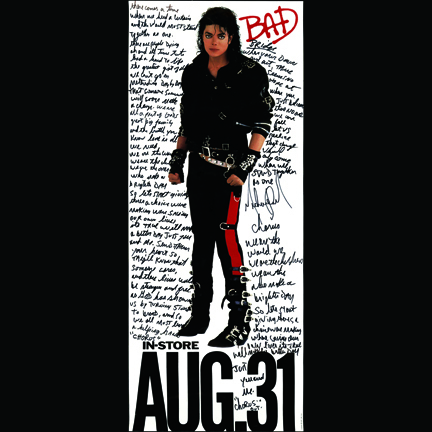 The “Bad” album was released on August 31, 1987 and sold over 30 million copies worldwide. The album earned Jackson two Grammy awards and was the only album ever released to contain five Billboard Hot 100 #1 singles. The “Bad” World Tour was Mr. Jackson’s first world concert tour as a solo artist and ran from September 12, 1987 to January 27, 1989. At its conclusion, the “Bad” tour broke world’s records as the largest grossing tour and the tour with the largest attended audience. 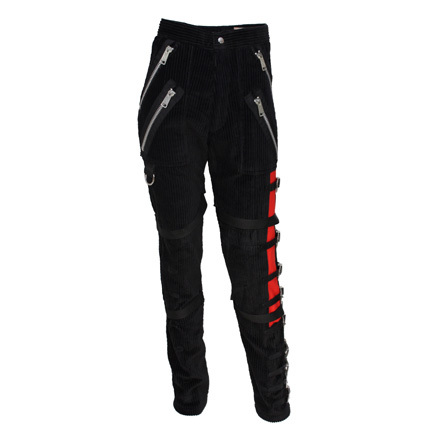 The pants are in excellent condition and are accompanied by a letter of authenticity. Presented by The Golden Closet, your premier source for screen used wardrobe, props, and music entertainment memorabilia.